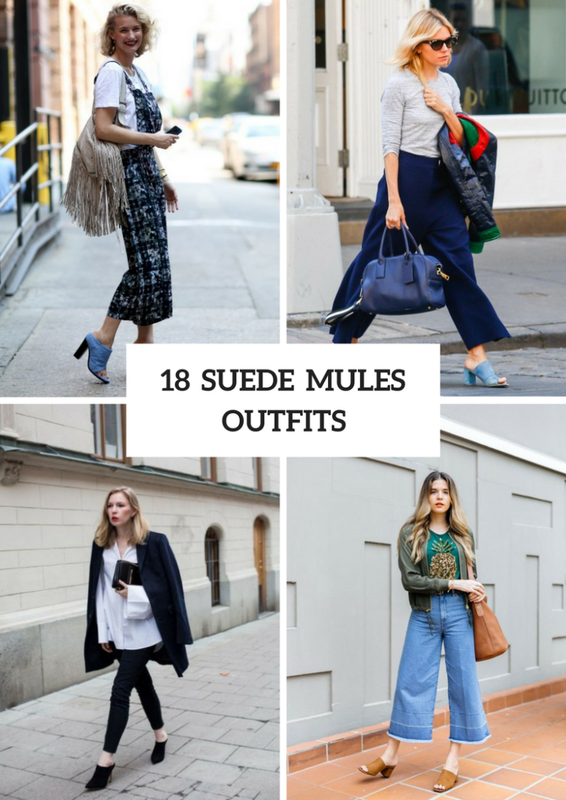 We have already told you about various mules, but what about so popular suede ones? 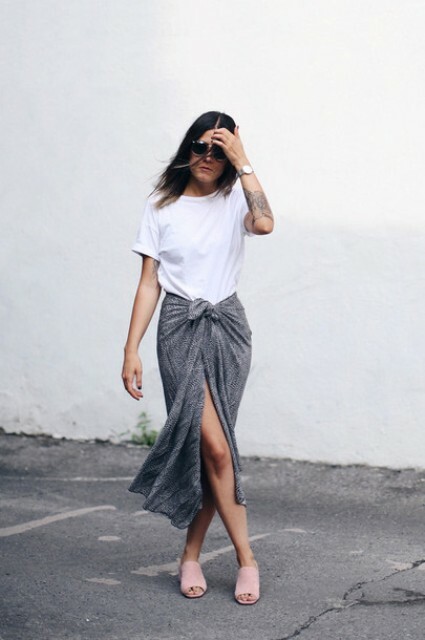 Of course, we should share with you gorgeous outfit ideas with them that you can repeat for August and fall days. First of all, you need to choose a type of mules, for example, flat, high heeled, kitten heel ones, etc. Secondly, think about colors and prints, for example, you can add monophonic (beige, brown, black or olive green) mules to eye-catching printed pieces of clothes and accessories, and pick up two colored ones for classic style outfits. So now let’s scroll down to see all ideas that we’ve collected just for you. For creating a relaxed outfit you can take a pineapple printed t-shirt and combine it with an olive green bomber jacket, high-waisted denim culottes, a brown leather tote and brown suede mules. 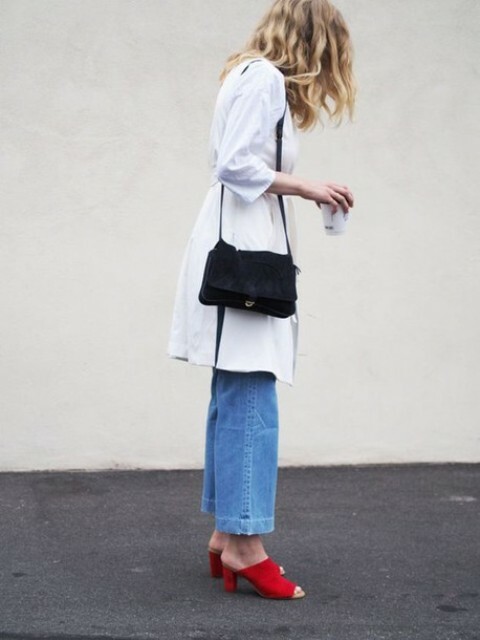 Or you can mix a white fringe sleeveless top with a pink wide brim hat, a small crossbody bag, skinny crop jeans and heeled mules. If you want to make a more official outfit, then try to repeat a combination with a white loose button down shirt, a navy blue oversized blazer, a black clutch, black skinny trousers and black high heeled mules. Or pair a gray shirt with navy blue wide leg trousers, sunglasses, a jacket, a navy blue leather bag and light blue suede mules. Don’t be afraid of bright colored outfits, so you can combine a printed knee-length dress with a brown belt, a necklace, an orange, white and gray bag and orange and red mules. Wanna something classic and neutral? Then mix a white ruffled off the shoulder blouse with an olive green pleated midi skirt, oversized sunglasses, a printed bag and brown suede mules.